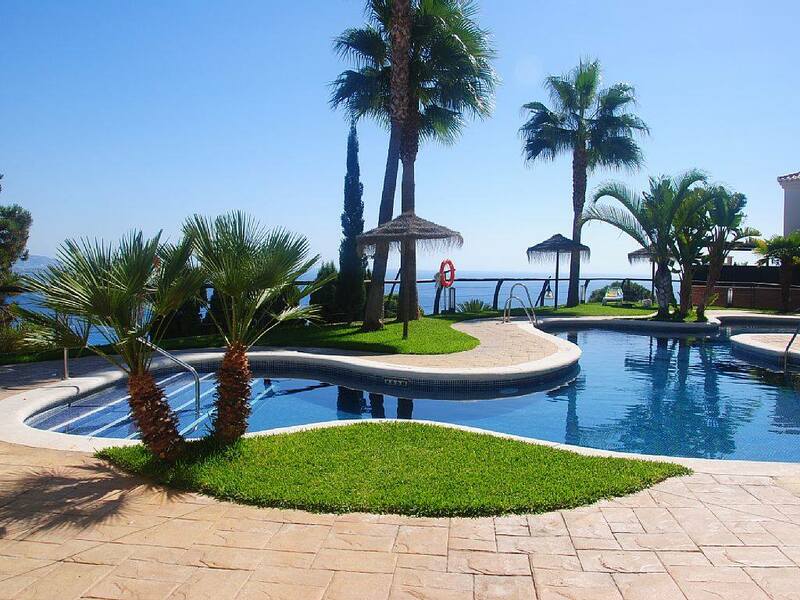 Attractive house, great views, lush gardens, gorgeous pools, perfect climate. Charming town, beaches, restaurants 5 min. Granada, skiing 1 hour. The Costa Tropical is an up-and-coming area that has long been known to Spanish holidaymakers and is now starting to attract more foreign visitors. 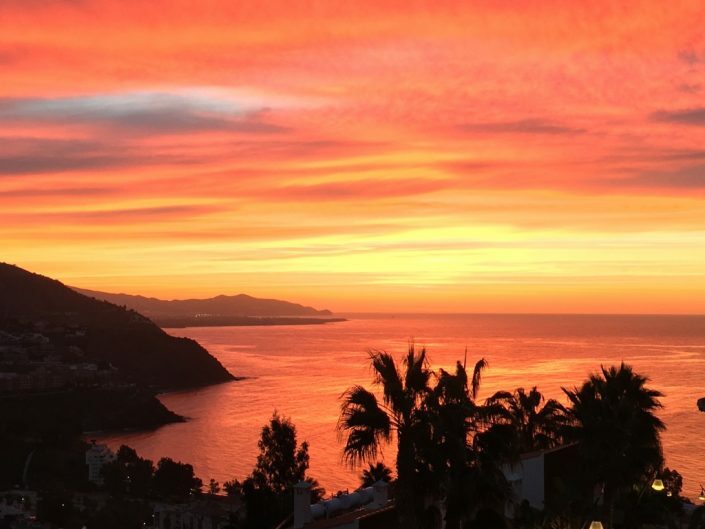 The town of Almuñecar maintains its authentically Spanish character while welcoming international holidaymakers, a key factor in our family´s decision to invest here. We plan to spend as much time here as possible! The Costa Tropical runs from Nerja to Motril and is characterised by rugged cliffs falling to the sea, a variety of beaches and a sub-tropical climate that supports avocados, mangoes and bananas. 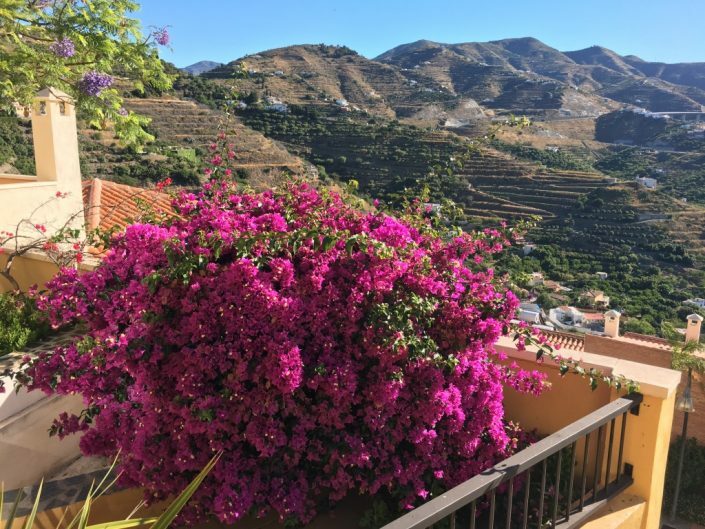 A variety of holidays can be enjoyed at our house, including relaxing by the pool, visiting nearby beaches, water sports, horse riding, scuba diving, golf and walking in the countryside. Spains premiere ski resort is available in the winter and spring. This may be the best climate in Europe. 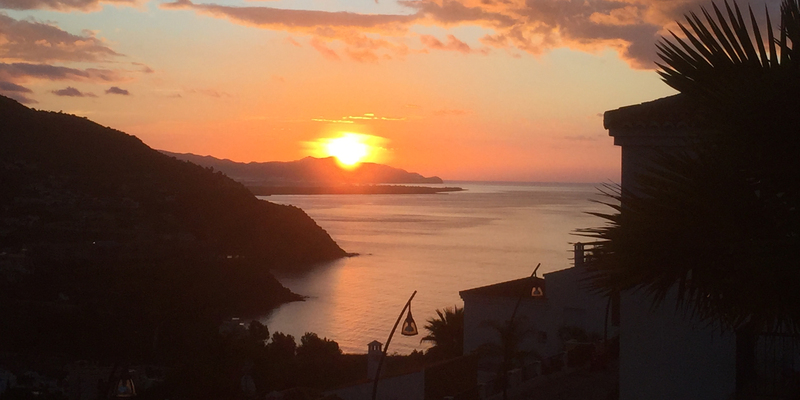 Compared to the rest of the Spanish south coast, the Costa Tropical is particularly mild in the winter and relatively cool and comfortable during the summer. There are more than 320 sunny days each year. Daytime highs range from 16 C in the winter to 29 in July and August, with lows of 8 in the winter and 20-22 in the summer. The magnificent city of Granada with its spectacular Alhambra palace is only 40 minutes away by car, with high quality skiing in the nearby Sierra Nevada mountains from December to April. Skiing in the morning and the beach in the afternoon can be an option in the winter. Seville, another great destination, can be reached in 3 hours. 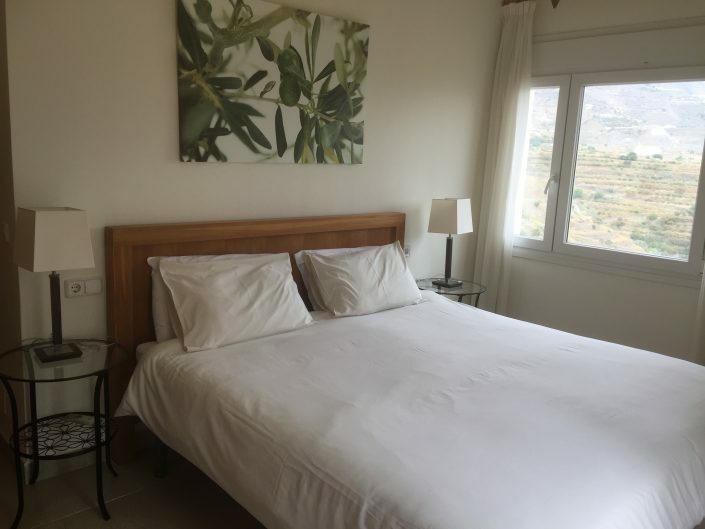 The house is in the community “Fuentes de Almuñécar” (Fountains of Almuñécar), perched strategically on a hilltop overlooking a spectacular coastline and backed by ranges of hills. The grounds are beautifully landscaped with lush sub-tropical vegetation, trees, fountains and waterfalls. Residents are Spanish, British and a sprinkling of other nationalities. There are two communal pools, one an infinity pool, and wonderful views along the coast and out over the Mediterranean. Both pools are no more than a two minute walk from the apartment. While one of the two communal pools has a daytime lifeguard, neither of the pools is securely fenced and young children need to be supervised. The Infinity pool is open from 15th June to 15th September. The Panoramic pool is open all year weather permitting. The center of Almuñécar has a classical Andalusian atmosphere and has so far avoided being dominated by tourism. The Moorish and Phoenician architectural heritage shows up in the winding passages and cobbled squares of the old quarter as well as the prominent castle. 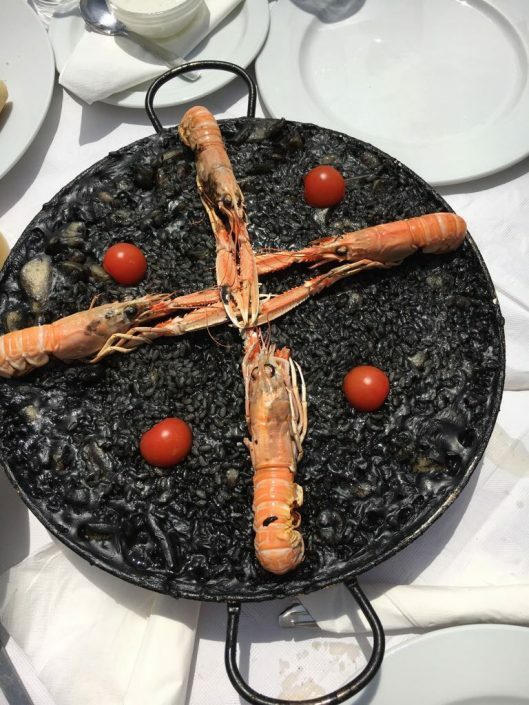 The town also has several markets, some very good restaurants, a bird park, several beaches and a water park, all easily reachable from the house. Modern supermarkets, banks and other facilities are also available. A car is needed to reach the property and to get around, particularly on warm summer days when the walk back from the nearest beaches or the center of town can be a challenge. Driving in this part of Spain is not hard, the roads are in excellent condition and places are clearly signposted. In the house we provide a range of books, maps and suggestions for both driving and walking tours. The 4-bedroom house (one double with ensuite bathroom, two twins, one with a bed bunk loved by kids) is on the corner of a group of four units. It has two floors and a large terrace with a dining table and chairs. The total indoor area is about 125 m2. There are two full bathrooms, plus an extra WC. One bedroom has a private terrace. The interior is roomy and the ceilings high, contributing to a light and open house interior. Eight people are very comfortable here. The main terrace is large and quiet, with an extraordinary 180 degree panorama view and opportunities to observe both sunrise and sunset. It is an ideal place to enjoy a relaxing meal or sunbathe. The terrace is equipped with a dining table, chairs and sun beds. Air conditioning and central heating ensures that the house is comfortable year round. Bed linen and towels are provided for your use. Close to the house you will find beaches, sailing, water skiing, boat hire, wind surfing, cycling, horse riding, tennis, scuba diving, historic sites, a zoo, a theatre/cinema, shopping areas, good restaurants and a supermarket. 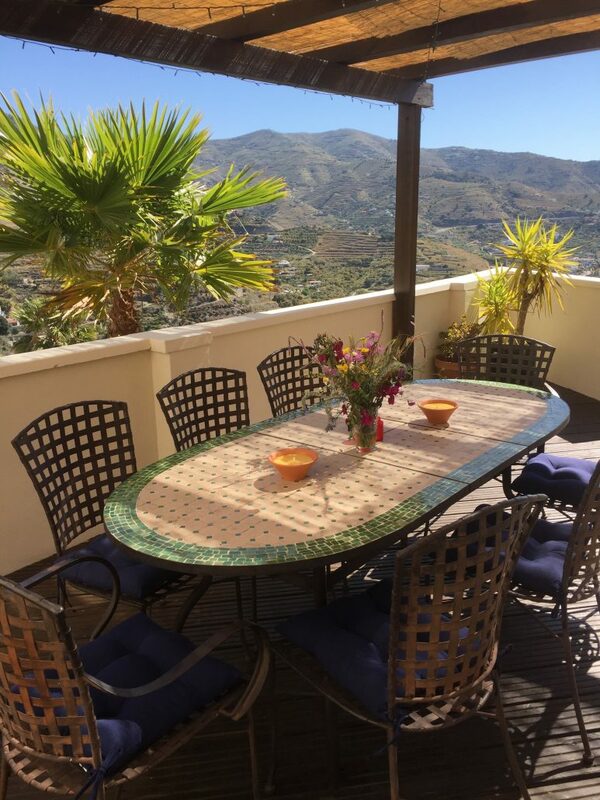 60 min from Malaga or Granada airports. 40 min from the city of Granada and Alhambra Palace. 60 min from the Sierra Nevada Mountains and ski resort. 5 min from choice of beaches. 5 min from Almuñécar Old Town.